Last week, the Ohio GOP decided to push forward with a bill that would allow parents the ability to deny their transgender child body autonomy and the right to transition. HB 658 also prevents schools from affirming a child’s trans identity without the consent of the young person’s parents. 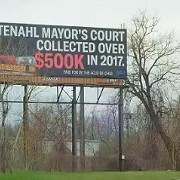 Violating that portion of the legislation would result in a 4th-degree felony. Despite the fact studies have proven that children are aware of their gender identity around the age of 4, this bill authorizes parents to reject their children's gender identity or expression. Perhaps more damning, one of the other provisions of HB 658 prevents Ohio courts from denying custody to parents in the event they block their transgender child from transitioning. "[The bill's] a waste of time and money that could otherwise be spent on actual issues affecting Ohio's minorities," Kate Kloss, a transwoman from Cleveland, tells Scene. "And it's insulting to teenagers, cis or trans, to say that they can't make decisions for themselves." Rep. Brinkman says the legislation was inspired following a February court ruling by the Ohio First District Court of Appeals in which the grandparents of a 17-year-old transboy were awarded custody after his family attempted to force him into conversion therapy. Meaning, if a child wanted to move in with more affirming family members that would support their transition, the child would be completely helpless and would be stuck living in a non-affirming household. The problem with that, however, is that transitioning later in life can be extremely difficult. Once a transgender person has already gone through puberty, reversing those changes is much harder than if the child was able to transition beforehand. Transmen would have developed breasts. Transwomen would have already developed deeper voices and facial hair. While being trans is about existing and not about passing, disallowing a transperson to transition as early as possible is denying them the opportunity to live authentically as soon as possible. Additionally, the law seems frivolous because children under 18 years old already need parental or guardian consent to begin hormone treatment. There is no set age limit for starting on prescription hormones related to transition, and doctors need to assess a patient’s situation on a case-by-case basis. This law is specifically about preventing the affirmation of transgender youth disguised as a concern for their "health." "Medical professionals are more qualified than parents to make decisions about a teenager's healthcare," says Kloss. "I wonder what [the legislators] could accomplish if they cared as much about police brutality as they do about interfering in teen healthcare." The bill attempts to perpetuate a dangerous narrative surrounding transgender youth, despite all research proving that access to transition related care is vital in allowing a healthy future for transgender individuals. This is just the latest anti-trans legislature to be introduced in Ohio, wasting valuable time that could be spent on anti-discrimination and protection legislation, as Transpeople are at higher risks of violence and discrimination than anyone else under the LGBTQ umbrella. HB 658 received a hearing from the Community and Family Advancement committee earlier this week, but it remains to be seen whether it can find support in the Ohio General Assembly. If it does, it can only be expected that a massive pushback from progressive groups and protests would soon follow. 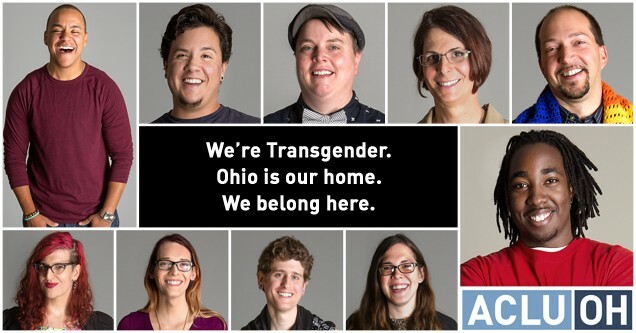 To learn more about transgender rights in Ohio, visit the American Civil Liberties Union (ACLU) here.